Ingredients for this game cookery recipe, which serves 4. Season and sear the steaks in a hot pan and place them in a pre-heated oven (220ºC) for two minutes. Remove from the oven and rest for five minutes before slicing. Mix the carrot, fennel and apple together with a little lemon oil and season to taste. Serve the sliced roe loin on the slaw. Summer is the time for picnics and everything tastes better when eaten outdoors. One of my favourite picnic foods is Scotch egg; and not the sad, flabby, mass-produced efforts, but the fabulously creamy, orange yolked, super-crispy coated, yummy homemade version. They are one of my top 10 picnic foods and, whether you are perched on a tailgate or striding through the moors, a good Scotch egg takes some beating. 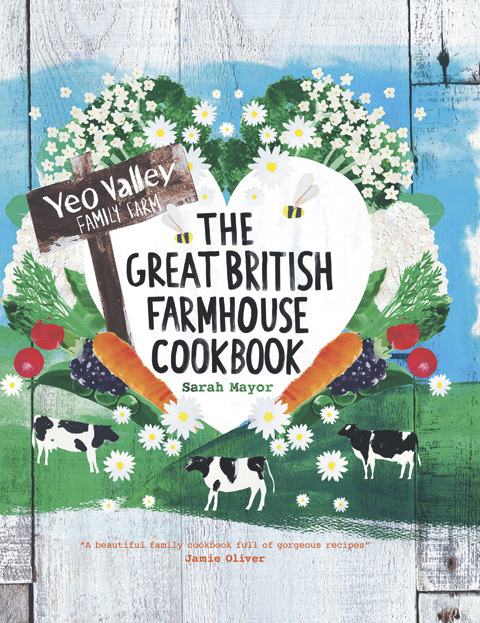 The Great British Farmhouse Cookbook by Sarah Mayor is published by Quadrille (RRP £20. The Great British Farmhouse Cookbook by Sarah Mayor has a fantastic Herby Scotch egg recipe with sage and lemon that is really delicious. I invited round my “pairs” partner (he runs his spaniel and I run my lab in the annual Arun and Downland Pairs test) for lunch after training the other day and we tucked into these little gems. I served them with salad cream, bib lettuce and tomatoes – nothing fancy, just good old-fashioned flavours. The book is a great new take on country cooking and the mouth-watering recipes are inspired by Mayor’s upbringing on the Yeo Valley family farm in the West Country. I recently visited an old friend and stayed at the Bear Hotel in Crickhowell, Powys. It has been at least 20 years since I was there last but it has lost none of its charm, and is still run by the Hindmarsh family. When they say there’ll be a welcome in the hillside in Wales they were obviously talking about the Bear!